A pleasant drive around 4 hours from Edmundston down Hwy 2 along the St Lawrence River. 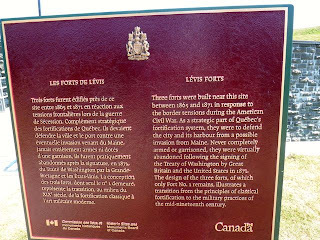 Levis pronounced levee is across the St Lawrence from Quebec City. 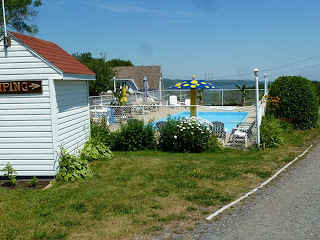 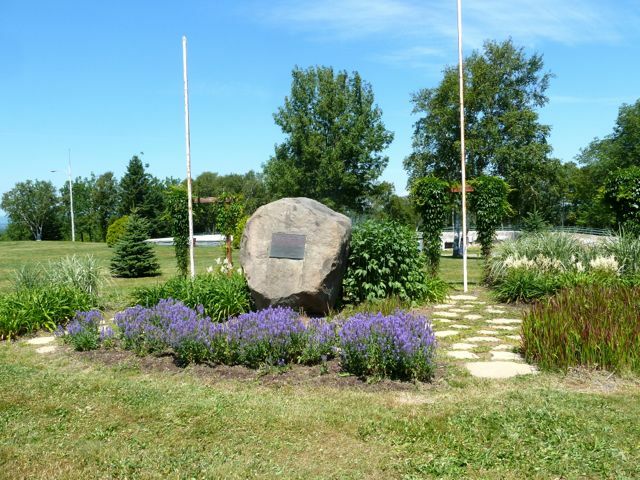 Our campground Fort de la Martiniere is small overlooking the St Lawrence and around 5KM from the town and ferry. 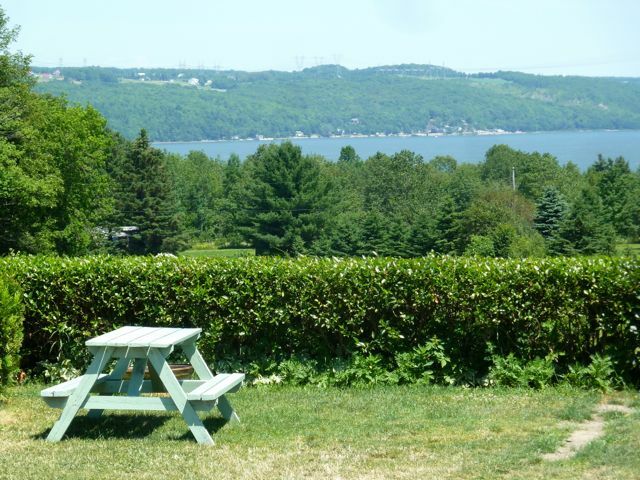 Downside is the internet connection is slow and tempermental. 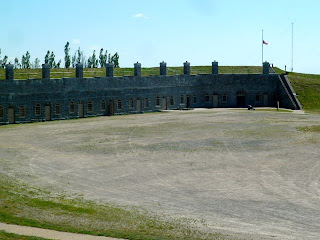 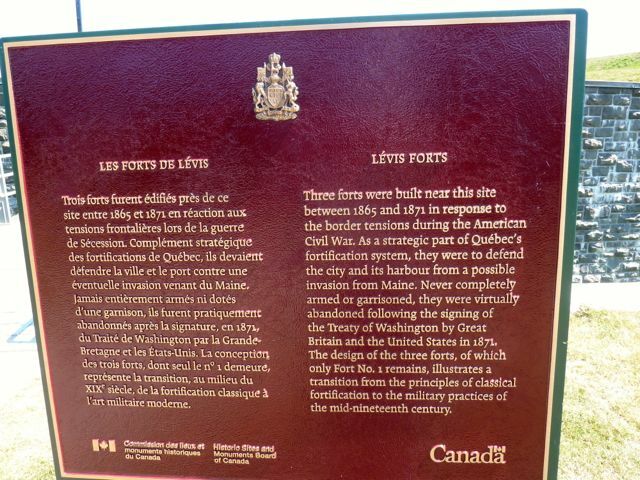 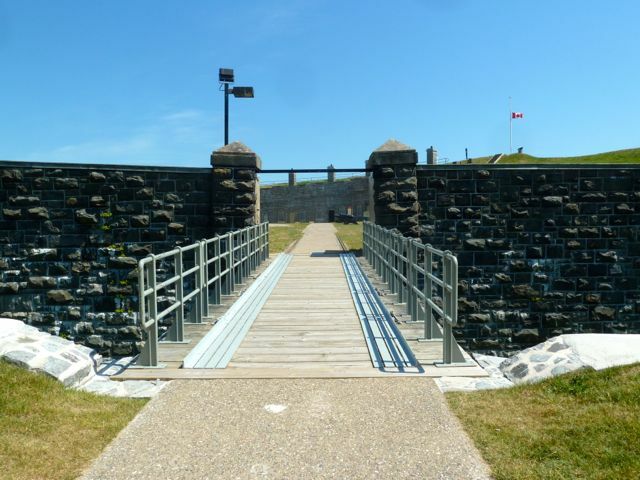 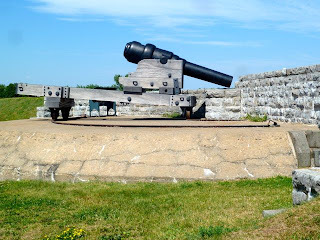 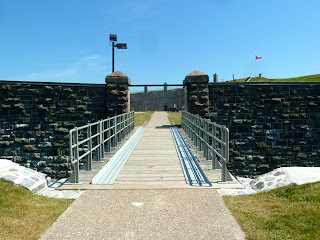 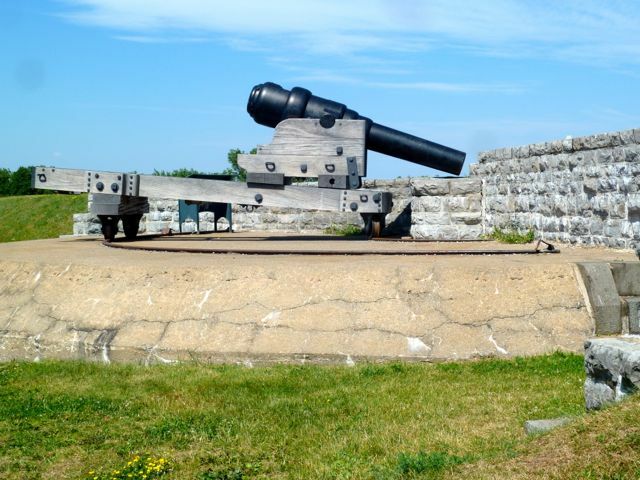 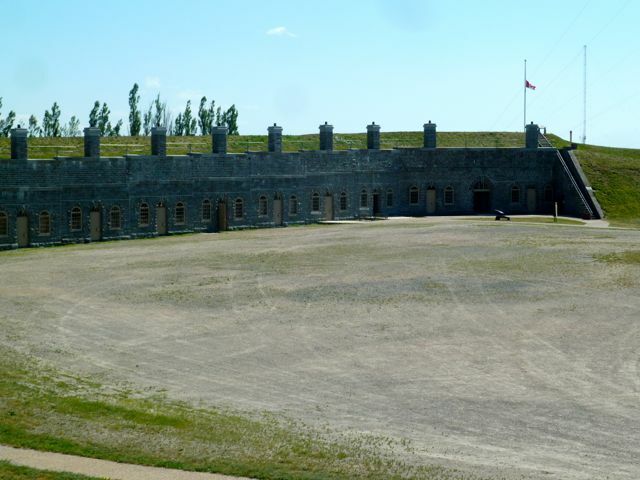 After checking in we drove to Levis Fort #1 which sits atop Point Levy built in 1865-1872 as part of the Canadian Defense plan to protect against an invasion from America. 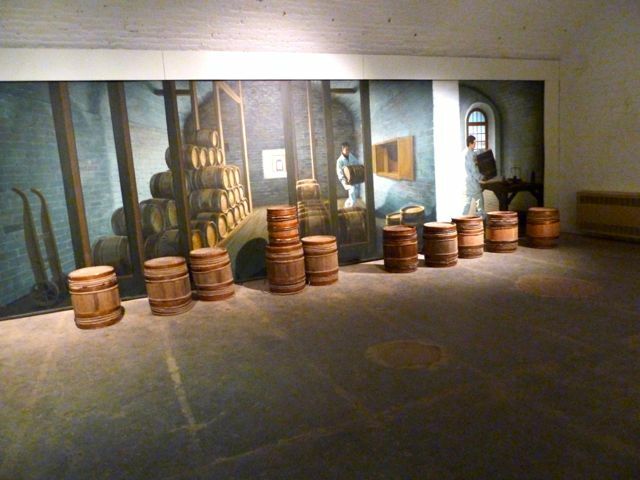 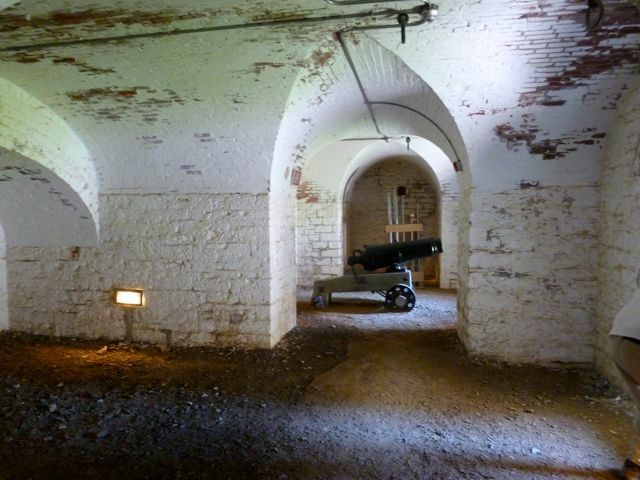 Only one gun was in the fort and it never saw battle.